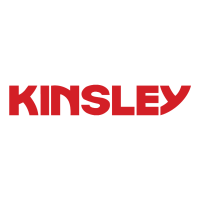 Kinsley is currently seeking concrete workers at all levels including foreman, form carpenters, rebar placement, concrete placement, track hoe operators, and skilled laborers. Our work includes deep foundations, complicated machine foundations, quarry foundations and heavy industrial structural renovations. There is very little need for long days of finishing concrete, we do not do flatwork. However, concrete finishing experience is preferred. Travel in the mid-Atlantic region will be required. Kinsley will provide hotels and transportation. We pay the highest per diem rate in our market for meals and expenses. We offer competitive pay and benefits package including Medical/Dental/Vision, Short/Long Term Disability, Life Insurance, 401K Plan with Company Match, Paid Holidays and PTO.